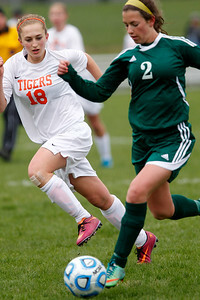 Matthew Apgar - mapgar@shawmedia.com Crystal Lake Central's Natalie DellaMaria, left, chases down Katherine Siavelis of Crystal Lake South during their girls soccer game on Saturday, April 25, 2015 at Crystal Lake Central High School in Crystal Lake. Crystal Lake South went on to win 7-1. 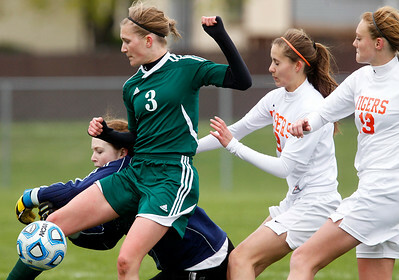 Matthew Apgar - mapgar@shawmedia.com Crystal Lake South's Kimmy Sulikowski, center, collides with Crystal Lake Central goalie Bridget King as Sulikowski scores a goal in the second half of their girls soccer game on Saturday, April 25, 2015 at Crystal Lake Central High School in Crystal Lake. Crystal Lake South went on to win 7-1. 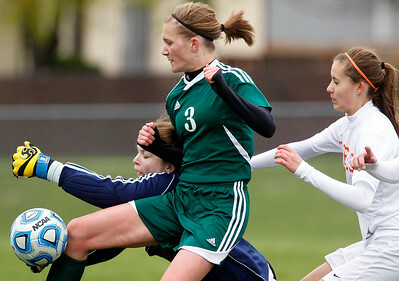 Matthew Apgar - mapgar@shawmedia.com Crystal Lake South's Kimmy Sulikowski, second from left, collides with Crystal Lake Central goalie Bridget King, back, as Sulikowski scores a goal in the second half of their girls soccer game on Saturday, April 25, 2015 at Crystal Lake Central High School in Crystal Lake. Crystal Lake South went on to win 7-1. 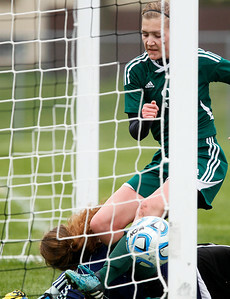 Matthew Apgar - mapgar@shawmedia.com Crystal Lake South's Kimmy Sulikowski, standing, scores a goal as Crystal Lake Central goalie Bridget King dives for the ball in the second half of their girls soccer game on Saturday, April 25, 2015 at Crystal Lake Central High School in Crystal Lake. Crystal Lake South went on to win 7-1. 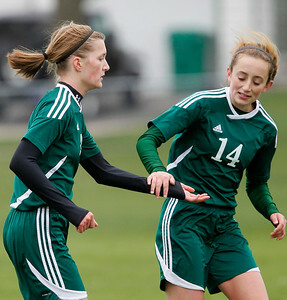 Matthew Apgar - mapgar@shawmedia.com Crystal Lake South's Kimmy Sulikowski, left, is congratulated by teammate Taylor Mraz after Sulikowski scored a goal in the second half of their girls soccer game on Saturday, April 25, 2015 at Crystal Lake Central High School in Crystal Lake. Crystal Lake South went on to win 7-1. 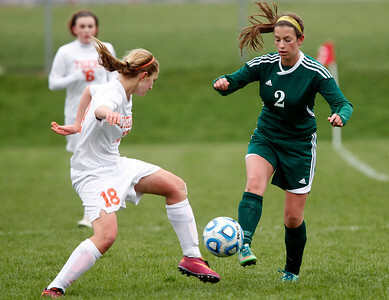 Matthew Apgar - mapgar@shawmedia.com Crystal Lake Central's Natalie DellaMaria, left, and Crystal Lake South's Katherin Siavelis battle over the ball in the second half of their girls soccer game on Saturday, April 25, 2015 at Crystal Lake Central High School in Crystal Lake. Crystal Lake South went on to win 7-1. 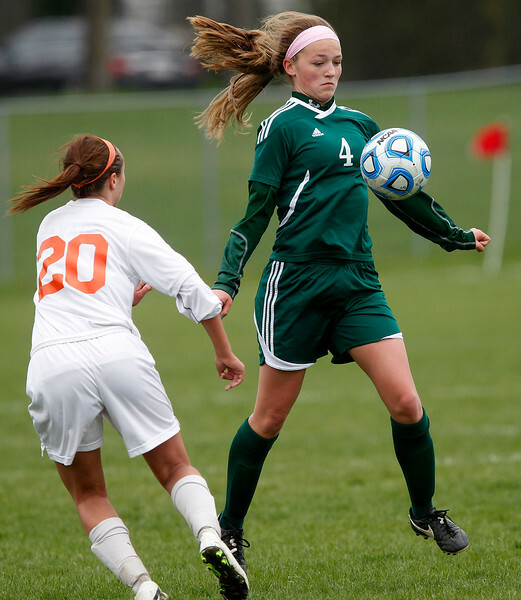 Matthew Apgar - mapgar@shawmedia.com Crystal Lake Central's Kyra Savage, left, reacts as Crystal Lake South's Jessica Schoenfeldt traps the ball in the second half of their girls soccer game on Saturday, April 25, 2015 at Crystal Lake Central High School in Crystal Lake. Crystal Lake South went on to win 7-1. 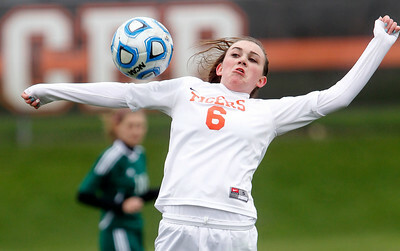 Matthew Apgar - mapgar@shawmedia.com Crystal Lake Central's Shannon Widdowson uses her body to trap the ball in the second half of their girls soccer game on Saturday, April 25, 2015 at Crystal Lake Central High School in Crystal Lake. Crystal Lake South went on to win 7-1. 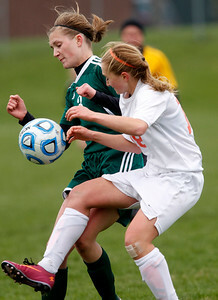 Matthew Apgar - mapgar@shawmedia.com Crystal Lake South's Kimmy Sulikowski, left, collides with Crystal Lake Central's Natalie DellaMaria, right, as they battle for control of the ball during their girls soccer game on Saturday, April 25, 2015 at Crystal Lake Central High School in Crystal Lake. Crystal Lake South went on to win 7-1. 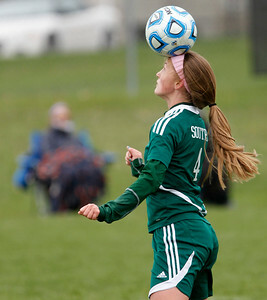 Matthew Apgar - mapgar@shawmedia.com Jessica Schoenfeldt of Crystal Lake South uses her head during their girls soccer game on Saturday, April 25, 2015 at Crystal Lake Central High School in Crystal Lake. Crystal Lake South went on to win 7-1. Matthew Apgar - mapgar@shawmedia.com Crystal Lake Central's Kyra Savage, left, tries to take control of the ball away from Jessica Schoenfeldt of Crystal Lake South during their girls soccer game on Saturday, April 25, 2015 at Crystal Lake Central High School in Crystal Lake. Crystal Lake South went on to win 7-1. 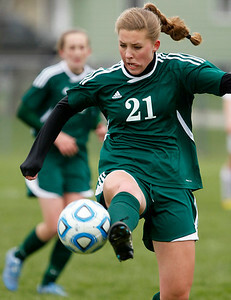 Matthew Apgar - mapgar@shawmedia.com Anna Wruck of Crystal Lake South connects with the ball in the second half of their girls soccer game against Crystal Lake Central on Saturday, April 25, 2015 at Crystal Lake Central High School in Crystal Lake. Crystal Lake South went on to win 7-1. 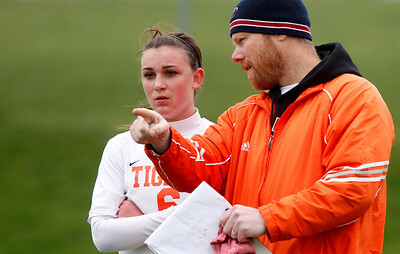 Matthew Apgar - mapgar@shawmedia.com Crystal Lake Central coach Jay Schwarzrock talks with Shannon Widdowson in the second half of their girls soccer game against Crystal Lake South on Saturday, April 25, 2015 at Crystal Lake Central High School in Crystal Lake. Crystal Lake South went on to win 7-1. 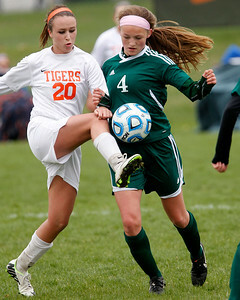 Matthew Apgar - mapgar@shawmedia.com Crystal Lake South's Emily Warren, left, and Crystal Lake Central's Emily Basile vie for the header in the second half of their girls soccer game on Saturday, April 25, 2015 at Crystal Lake Central High School in Crystal Lake. Crystal Lake South went on to win 7-1. 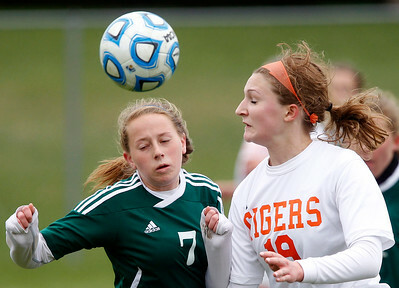 Crystal Lake Central's Kyra Savage, left, reacts as Crystal Lake South's Jessica Schoenfeldt traps the ball in the second half of their girls soccer game on Saturday, April 25, 2015 at Crystal Lake Central High School in Crystal Lake. Crystal Lake South went on to win 7-1.